Originally from Virginia, Harrison relocated to Charleston in 2010. He earned his B.A. in Journalism from the University of Mississippi after graduating from Episcopal High School in Alexandria, Virginia. Harrison received his real estate license in 2013 and focuses on a wide spectrum of the business, including residential and commercial brokerage, management, and development. Harrison has been recognized among the top 10% of sales-producing Realtors in the Charleston area by Charleston Trident Association of Realtors, and awarded the Realtors of Distinction- Directors Circle. 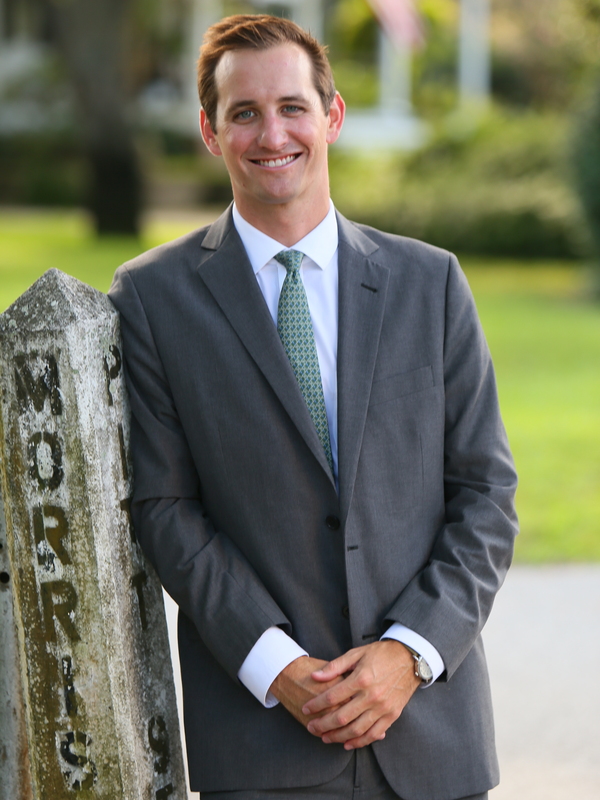 Harrison is a member of the National Association of Realtors, Charleston Trident Association of Realtors, a member of the Carolina Yacht Club, founding President of the Charleston Ole Miss Alumni Club, and an active volunteer with the Green Heart Project. Before joining the Peninsula Co, Harrison worked for several years in the publishing business at Garden & Gun magazine. In his free time, he enjoys the outdoors and can be found boating on the Lowcountry waterways.